Beautifully installed solid wood flooring can transform any room from bland to grand. Take a look at the pictures featured at the left to see just what a difference well constructed, expertly installed wooden or laminate flooring can make to the look and feel of a room. 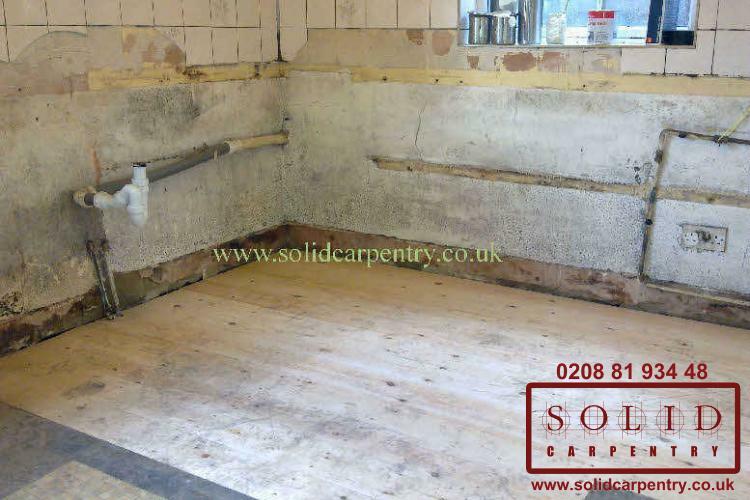 In these photos you can see how our carpenters skillfully stripped and made wood floor fitting, adding elegance and warmth to these rooms. 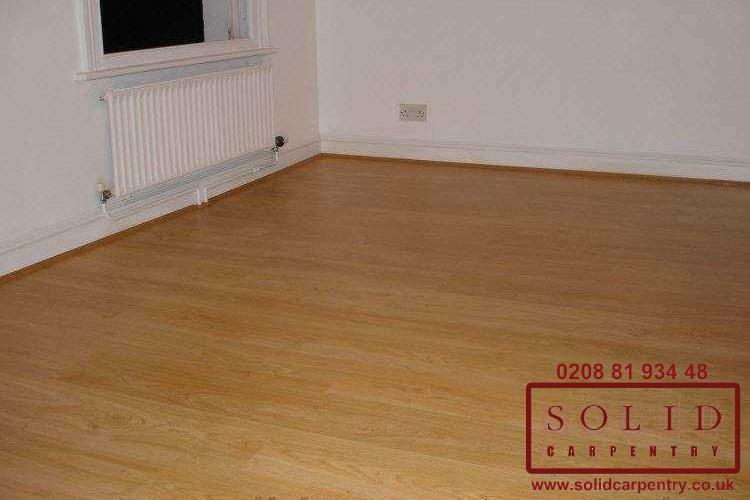 At Solid Carpentry, we have extensive experience in fitting wood flooring in homes and businesses across London and surrounding areas. 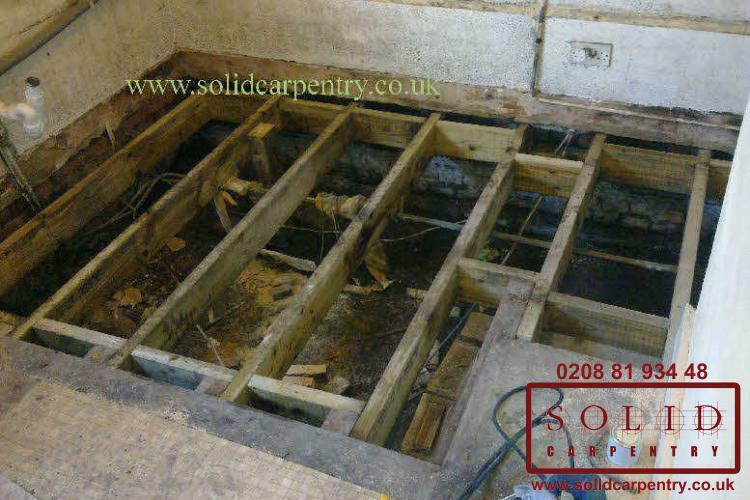 Our carpenters are highly accomplished and have the necessary technical expertise to manufacture and fit new flooring. 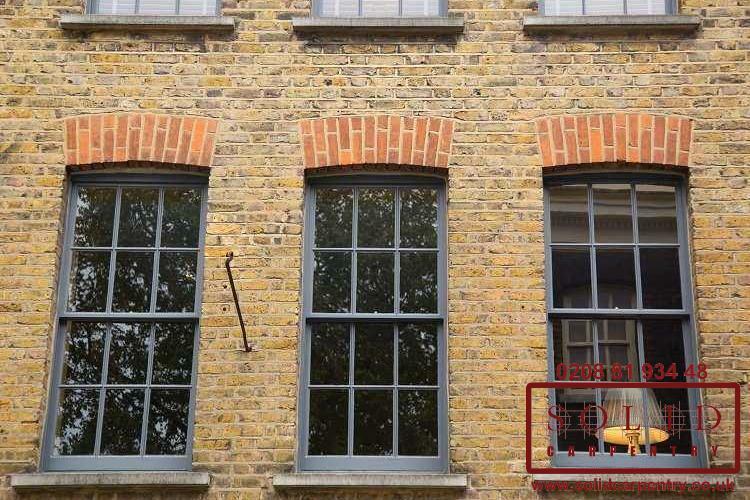 As such, you can feel confident that your living or working space will only be enhanced by the expertise we employ and the high quality materials we use. 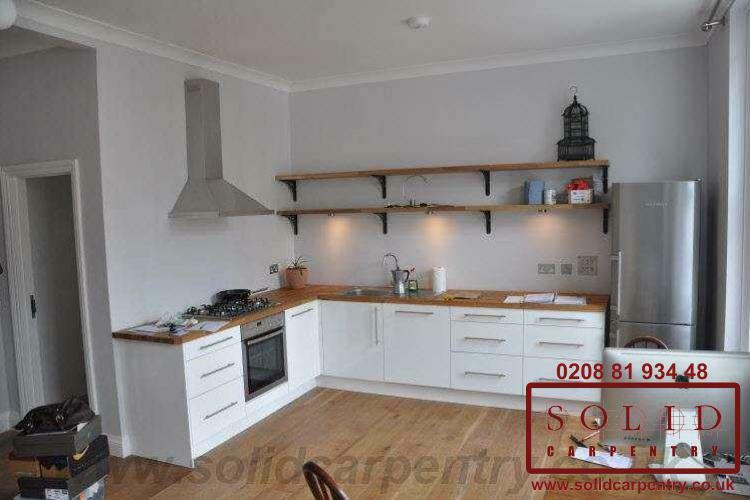 Once the Solid Carpentry team has finished in your property you will simply want to show off your new wood flooring to your friends and family! 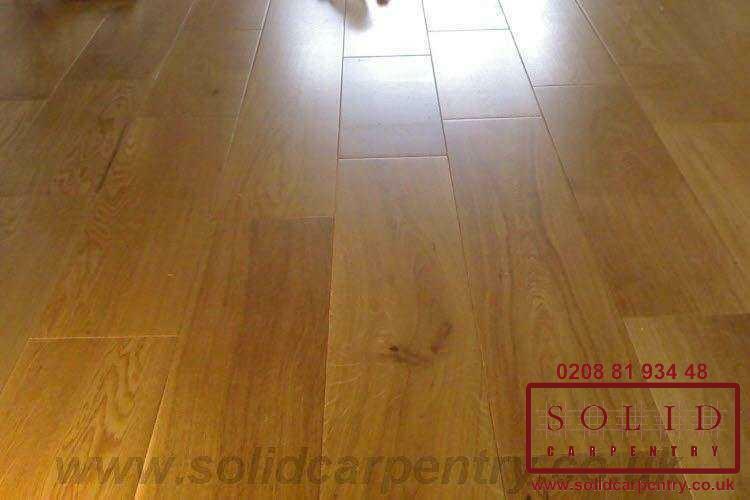 Our specialists can fit laminate or hardwood flooring and will do so drawing upon many years of experience. 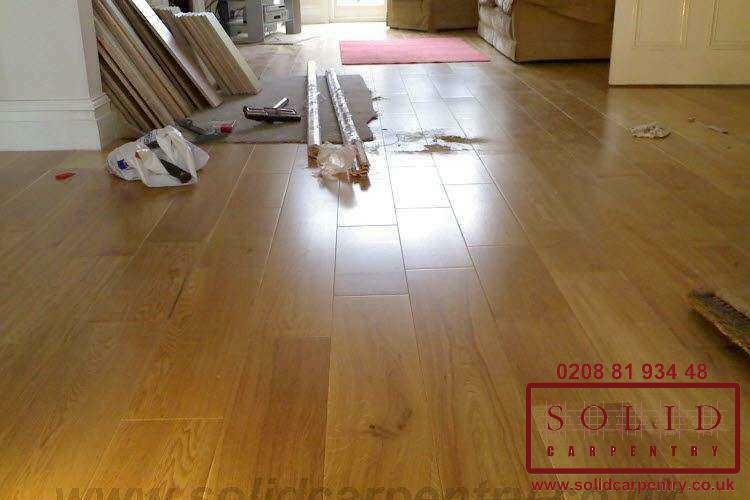 With all new flooring we install, we ensure it is securely fastened and finished using premium fixtures, fittings, and varnishes and oils to the highest possible standard. Our aim is to make sure that every inch of your new wood floor space is hard-wearing, long-lasting and can stand the test of time. The materials and methods we use to make wood floor fitting are not only of the highest standard, but are also eco-friendly. 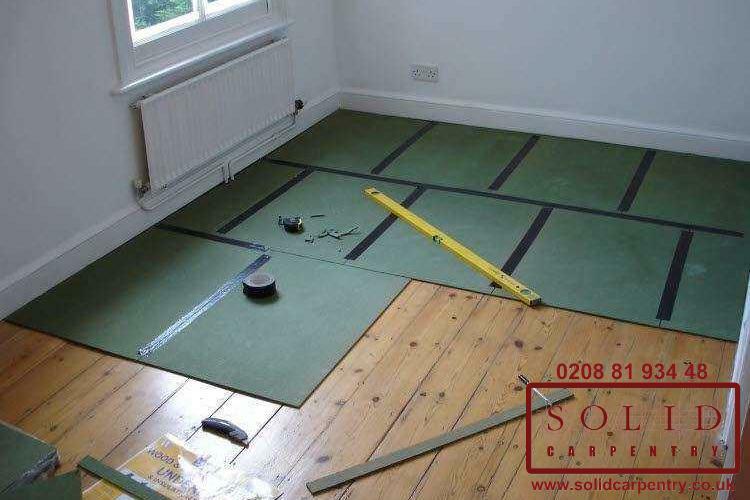 When fitting your floor we can advise you on the most suitable approach to take to ensure you receive the best possible results. 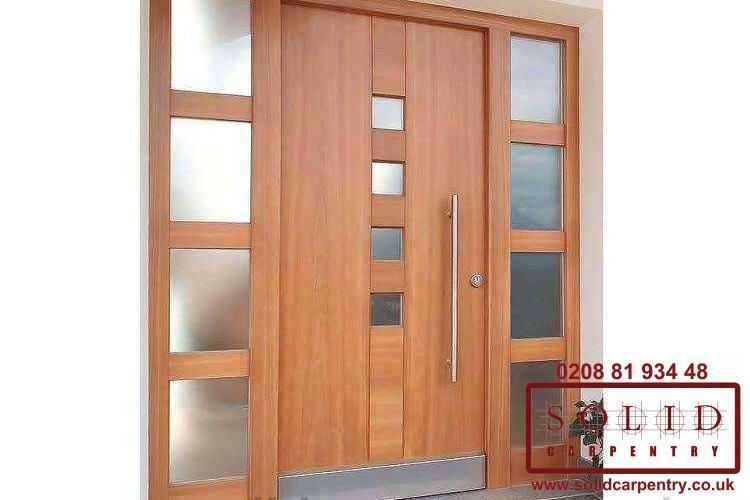 It is not only our outstanding installations that have led to our fantastic reputation, but also our professional, personalised approach to customer service. 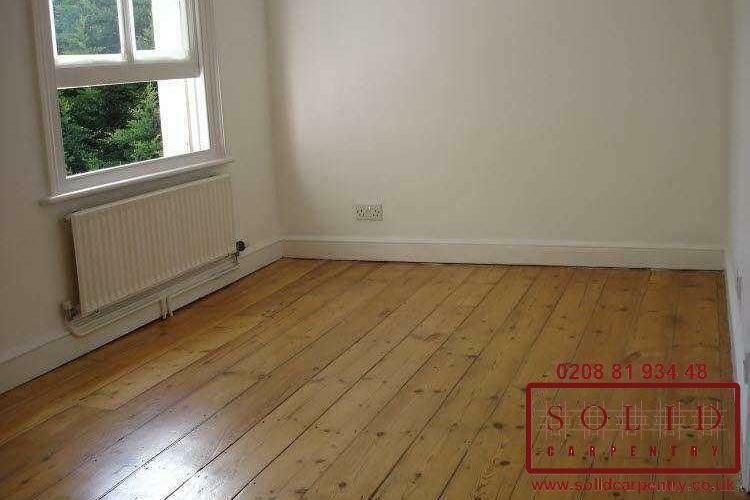 Could your home or business benefit from wood or laminate flooring in London? 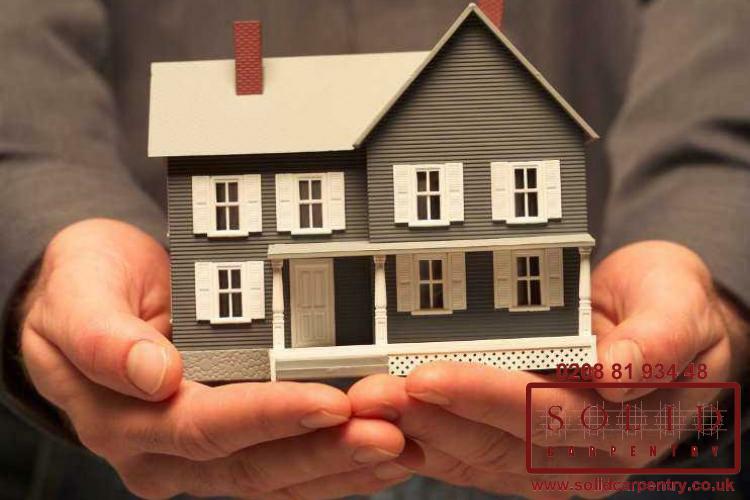 Get in touch today to discuss your options and for a free no-obligation quote.